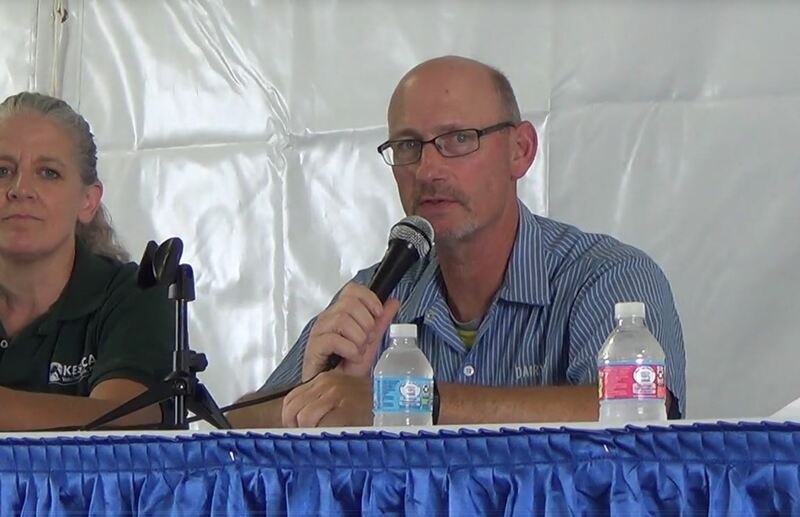 is a veteran dairy journalist and broadcaster, currently carried in a dozen Ag newspapers nationally. This column is prepared especially for the readers of DairyBusiness. Based in Lynden, Wash., he can be reached by email at [email protected] or by phone 360.201.4033. 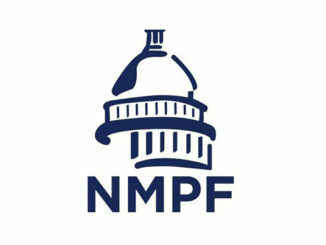 NMPF’s Chris Galen says it’s unknown what amendments might be offered on the Floor. “The next step is for Republican leaders to build a majority in support of the measure to ensure it can be passed by the full House of Representatives, as Democrats will likely all be opposed, while even some GOP members may not be fully supportive. The earliest it could be considered on the House floor is next month,” according to Galen. Meanwhile; global dairy trade spirits got a lift and so did prices in Tuesday’s Global Dairy Trade (GDT) auction. The weighted average of products offered shot up 2.7 percent, following a 0.6 percent dip on April 2 and a 1.2 percent drop March 20. The quantity sold climbed to 42.5 million pounds, up from just under 38 million pounds in the last event. Leading the gains was lactose, up 14.8 percent. Anhydrous milkfat was up 5.3 percent, after dropping 7 percent in the last event. GDT Cheddar was up 4.6 percent, following a 2.2 percent gain, skim milk powder was up 3.6 percent, after slipping 1.8 percent, and rennet casein was up 3.1 percent after pole vaulting 12.1 percent last time. Butter was up 2.9 percent, following a 4.1 percent surge, and whole milk powder inched 0.9 percent higher, after gaining 1.6 percent. FC Stone equates the GDT 80 percent butterfat butter price to $2.5019 per pound U.S. CME butter closed Friday at $2.3150. GDT Cheddar cheese equated to $1.7485 per pound U.S. and compares to Friday’s CME block Cheddar at $1.6025. GDT skim milk powder averaged 86.76 cents per pound and whole milk powder averaged $1.5020. CME Grade A nonfat dry milk price closed Friday at 80 1/2-cents per pound. It added that the European Commission’s updated market outlook looks for European milk production to rise by 1.4 percent in 2018 and expects cow numbers to decline 0.4 percent. European cheese production was forecast to grow 2.1 percent this year, down from last year’s 2.4 percent increase. Butter production is expected to increase 3.1 percent and output of skim milk powder, plus 2.6 percent, according to the DFMA. Stateside; a lot more dairy cows ended up at McDonalds in March as low milk prices and higher feed costs drove culling decisions down on the farm. The Agriculture Department’s latest Livestock Slaughter report shows an estimated 286,900 head were slaughtered under federal inspection, up 26,300 head from February and 15,800 head or 5.8 percent above a year ago. A total 837,300 head were culled in First Quarter 2018, up 43,900 or 5.5 percent from First Quarter 2017. Meanwhile; the 2017 Livestock Slaughter Summary shows that 2.988 million head of dairy cows were slaughtered, up 1.03 million head or 3.6 percent from 2016. Cash dairy product prices were mostly higher the third week of April at the Chicago Mercantile Exchange as the Midwest dug out from an unusual Mid-April blizzard and the annual Wisconsin Cheesemakers Conference took place in Milwaukee. Cheddar 40-pound block cheese climbed to $1.6350 per pound Thursday but it closed Friday morning at $1.6025, down a quarter-cent on the week and 5 3/4-cents above a year ago, as traders awaited the afternoon’s March Milk Production report. The 500-pound Cheddar barrels closed at $1.50, up 4 cents on the week and 7 1/4-cents above a year ago, despite 55 cars being sold on the week and just 5 of block, but the barrels are still at an unsustainable 10 1/4-cents below the blocks. DMN warned that “The end result is inventories that are growing,” and “The market seems to exude vulnerability.” “Manufacturers express varying levels of angst about the size of the spring flush, the gap between block and barrel prices, whether cheese demand will hold or whether trade will continue to flow smoothly. In addition, current spring weather has not only failed to prompt the grilling season, but has further added costs to transportation and shipping. 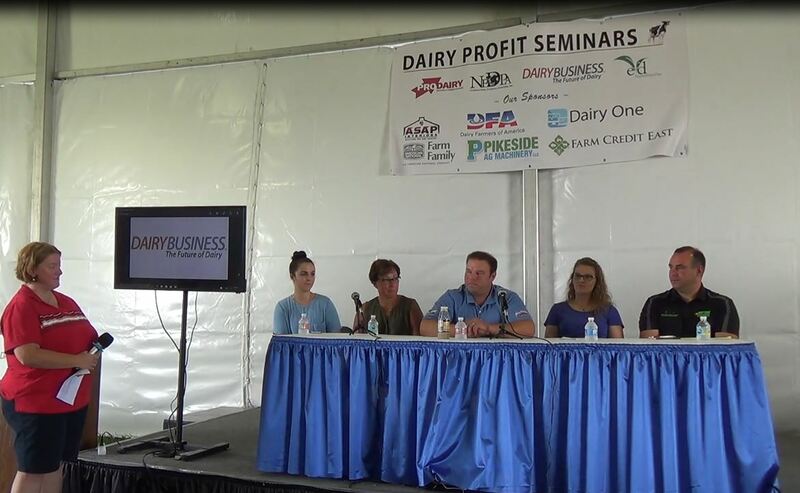 There is an unsettled market tone for cheese and the larger dairy market,” says DMN. Cash butter closed Friday at $2.3150 per pound, up 2 3/4-cents on the week and 22 1/2-cents above a year ago, with 39 cars exchanging hands on the week. Western butter production continues at a steady clip with ample supplies of cream, though volumes have eased slightly in the southern parts of the region, but are still trending higher in northern areas. Some international buyers are looking at the favorable U.S. butter price points compared to European and Oceania butter prices but inventories are building, according to DMN. Spot Grade A nonfat dry milk shot up to and closed Friday at 80 1/2-cents per pound, up 7 1/4-cents on the week, a nickel below a year ago, but the highest CME price since October 9, 2017, with an impressive 57 cars finding new homes on the week at the CME. The six-week old cash dry whey market closed at 31 1/2-cents per pound, up a penny on the week, with 2 sales reported for the week. USDA’s Crop Progress report shows that 3 percent of the corn crop is in the ground in the top 18 producing states, as of the week of April 15. That compares to 6 percent a year ago and 5 percent in the five year average. The report also shows 8 percent of the cotton is planted in the top 15 producing states, dead even with a year ago and 1 percent ahead of the five year average. The May Federal order Class I base milk price was announced by the USDA at $14.44 per hundredweight, up 34 cents from April, 76 cents below May 2017, but the highest Class I since January 2018. It equates to $1.24 per gallon, up from $1.21 in April and compares to $1.31 a year ago. The five month Class I average stands at $14.32, down from $16.47 a year ago and compares to $14.18 in 2016. Speaking of fluid milk; Dairy Market News reported February packaged fluid milk sales totaled 3.7 billion pounds, down 1.6 percent from February 2017. Conventional product sales totaled 3.5 billion pounds, down 1.7 percent from a year ago; organic products, at 205 million pounds, were up 1.0 percent and represented about 5.5 percent of total sales for the month. Total packaged fluid milk sales so far in 2018 hit 7.97 million pounds, down 1.1 percent from the same period a year ago. Conventional products year to date totaled 7.5 million pounds, down 1.2 percent; organic products, at 438 million pounds, were up 1.7 percent. Organic represented about 5.5 percent of total fluid milk sales so far in 2018. Dairy margins improved slightly since the end of March as milk prices continued to recover while feed costs held steady according to the latest Margin Watch (MW) from Chicago-based Commodity & Ingredient Hedging LLC. “Since the middle of February, dairy cow slaughter is running 7.5 percent above the same six-week period in 2017, while USDA’s Dairy Market News reports that ‘there were more reports of dairy farmers opting to auction their herds and exit the business.’ The report noted that a number of farms were closing this month in the north central region that were more sizable than the average Midwestern farm. The report also mentioned that lenders are taking a cautious approach to credit ahead of the planting season, ‘which some contacts suggest could lead to more closures and potentially less milk production,’” according to the MW. The March Consumer Price Index for all food was 252.4, up 1.3 percent from 2017. The dairy products index, at 216.5, was down 0.9 percent. Fresh whole milk was down 5.1 percent, cheese was up 0.8 percent, and butter inched 0.6 percent higher. Most consumers take it for granted that there will be plenty of dairy products at the grocery store. America’s dairy farmers feed the U.S. and the world with wholesome nutritious food but they also help the U.S. Treasury. That’s according to former Agriculture Secretary and now President and CEO of the U.S. Dairy Export Council (USDEC) Tom Vilsack. Vilsack writes that “As Americans meet their April 17 deadline for filing taxes this year they can thank the U.S. dairy industry for creating $64 billion in tax revenues, according to Dairy Delivers, a publication of the International Dairy Foods Association (IDFA). 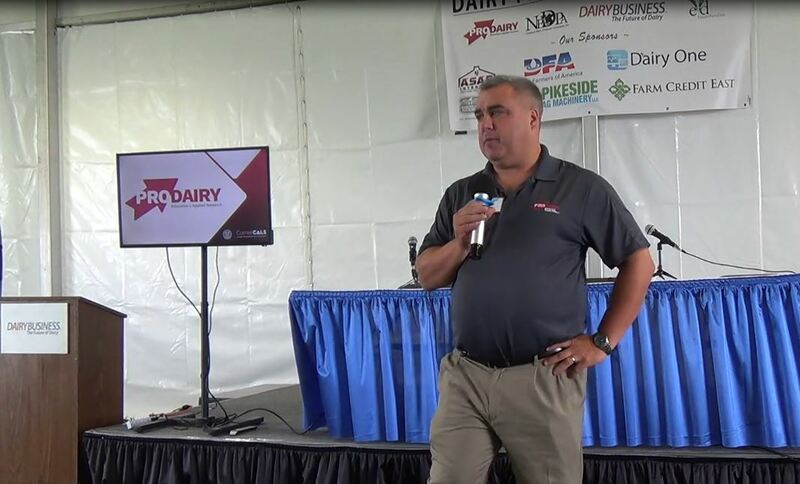 “IDFA engaged John Dunham and Associates, an economic research firm, to quantify and break down the economic impact of dairy on the 48 mainland states and all 435 congressional districts,” USDEC stated. “This is a tool that provides a wealth of information to everyone in the U.S. dairy industry and anyone who cares about jobs, taxes and our state and national economies.” California dairy alone generating nearly $12 billion in tax revenues, according to the report. One more global trade story; Cooperatives Working Together (CWT) accepted 13 requests for export assistance this week from cooperative members to sell 1.435 million pounds of Cheddar cheese and 639,341 pounds of butter to customers in Asia, Central America, Europe, the Middle East, North Africa and Oceania. The product has been contracted for delivery through July and puts CWT’s 2018 exports at 31.848 million pounds of American-type cheeses, and 7.011 million pounds of butter (82 percent milkfat) to 25 countries on five continents.